This Sunday we begin our Lenten journey toward Easter alongside Jesus, who, after his initial ministry in Galilee, resolutely “set his face to go to Jerusalem” (Luke 9:51). This verse begins Luke’s “travel narrative,” which tells the story of Jesus’ journey from Galilee to Jerusalem, where the events of his passion will soon take place. Along the road to Jerusalem, Jesus teaches those he encounters about the ways their lives must “turn around” if they want to be his followers. This Lenten season, as we too follow Jesus on the road to Jerusalem, we will explore the “you-turns” that Jesus is calling us to make as we prepare for Holy Week and Easter. What are we called to turn away from, and what are we called to turn toward? "Turning from Might to Foolishness"
"Turning from Seeing to Being Seen"
"Turning from Crowding Out to Making Room"
"Turning from Keeping Out to Letting In"
"Turning from Riches to Relationships"
"Turning from Home to Homelessness"
Matthew, Mark, and Luke are often referred to as the "synoptic" Gospels. From the Greek root words meaning "with the same eye," the word "synoptic" refers to the fact that these three Gospels use much of the same original source material to compile and tell the story of Jesus. While these three Gospels do share many of the same stories, the Gospel writers still pull these materials together in such a way as to emphasize their own particular theological themes. On Christmas we celebrate the birth of Christ and the mystery of the incarnation. Epiphany, meaning "to shed light on," and which we celebrate on January 6, is marked by the visit of the wise men from the east and begins the season of interpreting what Christ's birth means to the world. What did Israel long for in exile? And what do we long for as we experience "exile" in our own lives? What are the deepest longings of the human heart? 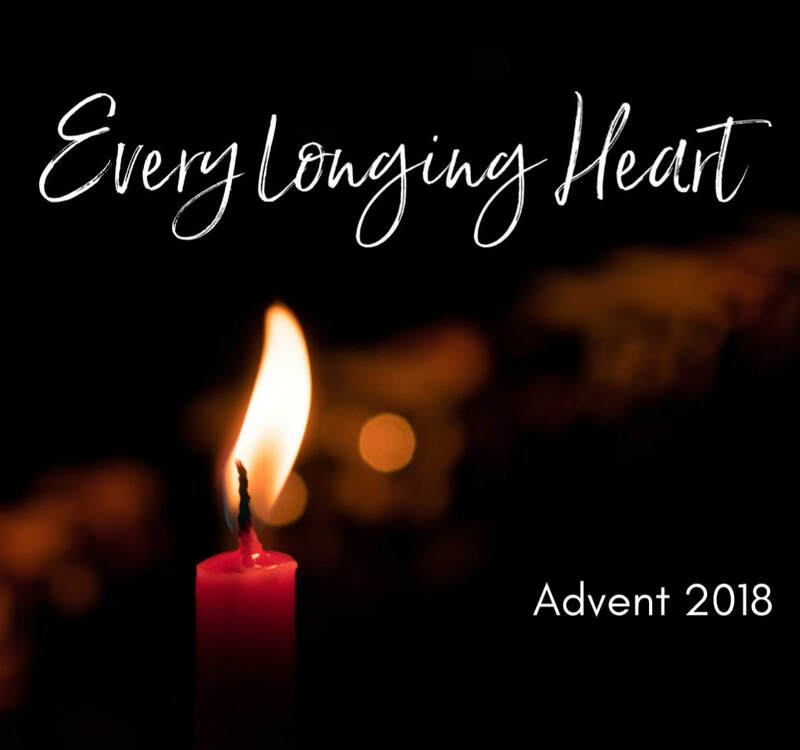 Join us this Advent season as we explore some of our fundamental human longings and where the fulfillment of those longings resides. "Longing for Wrongs to Be Made Right"
Christ the King (or Reign of Christ) Sunday is the culmination of the Christian calendar. It centers on the exalted Christ, who rules over the whole universe. As the Alpha and Omega, the beginning and the end, Christ is the center of the universe, the ruler of all history, the judge of all people. In Christ all things began, and in Christ all things will be fulfilled. In the end, Christ will triumph over the forces of evil. As sovereign ruler, Christ calls us to a loyalty that transcends every earthly claim on the human heart. To Christ alone belongs the supreme allegiance in our lives. Christ calls us to stand with those who in every age confessed, “Jesus Christ is Lord!” In every generation, demagogues emerge to claim an allegiance that belongs only to God. But Christ alone has the right to claim our highest loyalty. We all love enjoying an abundant return on our investments. However, making an investment to begin with can give us more pause, regardless of whether we are investing money, time, or our hearts into something. What will happen if I take a risk? Will I have enough in the meantime? Will my investment really yield a worthwhile return? 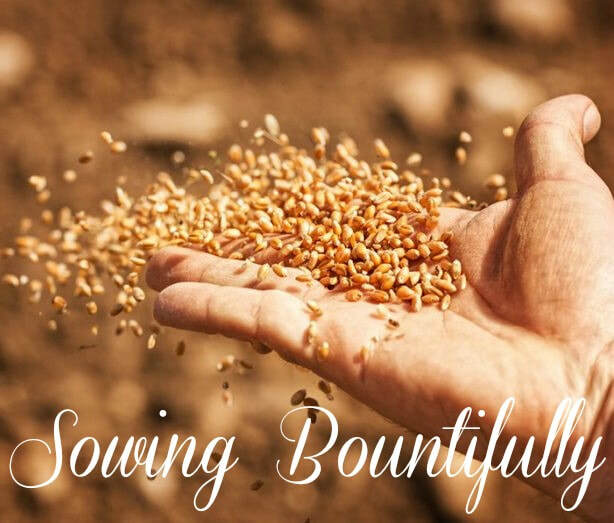 To all these questions, the apostle Paul says, “The point is this: the one who sows sparingly will also reap sparingly, and the one who sows bountifully will also reap bountifully” (2 Corinthians 9:6). This stewardship season we are exploring the challenge and the joy of "sowing bountifully" as we seek to live lives of generosity. "Sowing Is for the Birds"
"Sowing for What Is Yet to Be"
​One of the biggest complaints about the church is that Christians don’t always “walk their talk.” As Christians, we ourselves demonstrate that we don’t always believe what we say we believe. When times are difficult, our actions reveal that we’d prefer to take our lives into our own hands rather than trust God. When our faith is tested, our doubts make us vulnerable to the allure of self-sufficiency and material security, and our neighbor becomes our competitor rather than the one we’re called to love. Yet, James challenges us to live with real integrity, such that our words and actions reflect the faith we profess in a generous God. No audio recording due to power outage. "Hearing and Doing with Integrity"